Another long-running comedy team who mixed humour and horror, albeit a group of greater size and through varying incarnations, was the Dead End Kids. This was the first umbrella name for a tearaway gang of youths who underwent three separate group names and member changes across twenty one years for multiple studios between 1937 and 1958. 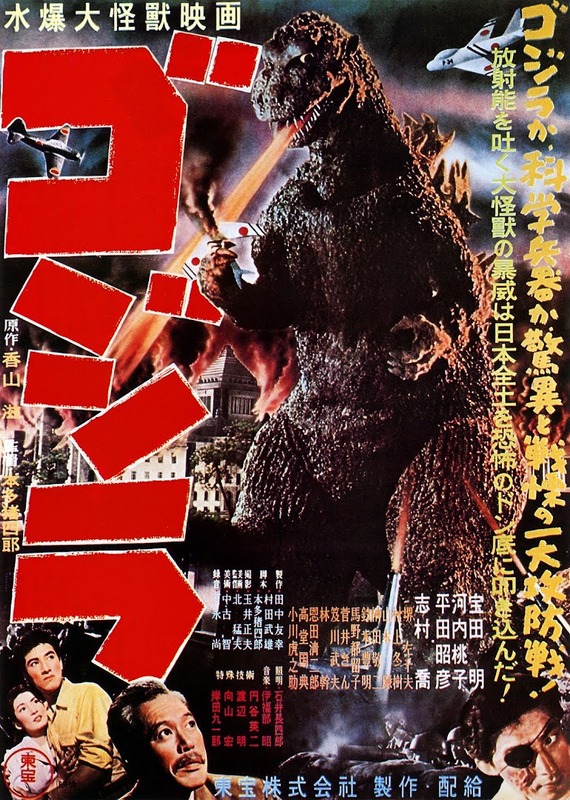 They were contracted to United Artists, Warner Brothers, Universal and Monogram (at one point working for Universal and Warners at the same time under two different series names). If this wasn’t enough to make your head spin, their raucous behaviour on-set was and frequently landed them in trouble. The Dead End Kids met and took their name as the cast of Dead End (1935) a Broadway play by social conscience playwright Sidney Kingsley that focused on street kids in slum housing projects and their immersion in a life of crime. 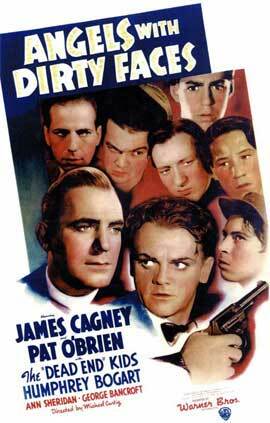 Amongst the boys hired were Leo and David Gorcey, Huntz Hall, Billy Halop, Bobby Jordan, Bernard Punsly and Gabriel Dell. Most of them came from showbiz backgrounds, the Gorceys for example being a vaudeville family. The diminutive but fierce Leo Gorcey wasn’t originally destined for an actor’s life, but prompted by his brother he swapped plumbing for the theatre and emerged as the leader of the gang from then onwards. When the play’s two-year hit run warranted a film version, director Wiliam Wyler and producer Samuel Goldwyn realised their best bet was to transplant the Broadway cast. and all but David Gorcey were signed up by United Artists for the Dead End film in 1937. Although the gang had two-year contracts, they caused such undisciplined havoc during filming that an exasperated Wyler off-loaded them to Warners. Inadvertently this was the perfect move as their new employer was the home of the tough crime picture. Warners had initially rebranded them as the Crime School Kids (Crime School being their first film for the studio) but the new name never caught on. Where they did score was by sharing screen time and cramming into poster space with Humphrey Bogart and James Cagney in Angels with Dirty Faces (1938) as Catholic priest Pat O’Brien struggles to keep them away from Cagney’s bad role model. Early in their run of six Warners films, the Dead End kids minus Jordan and Leo Gorcey were loaned out to Universal to spark off a new series which confusingly kept the Dead End Kids name and added the Little Tough Guys, overlapping their series with the other studio. After Jordan and Gorcey were freed of their Warners obligation, the whole team was bought out by Monogram and under the new name of the East Side Kids they made 22 films between 1940 and 1945. The East Side Kids films began to dabble with other genres in their second outing. 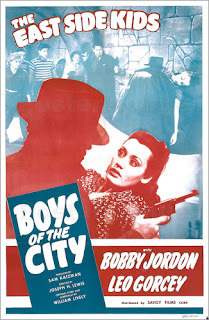 The first to be spook-wise as well as street-wise was Boys of the City (1940), a lame affair whose only real spirits are in the enlivening boys themselves. The director Joseph H. Lewis would go on to one of Bela Lugosi’s better pictures The Invisible Ghost (1941) and here does his best to tick off the horror clichés scattered through William Lively’s poor script. As an alternative to doing time, the petty crime Kids are sent to upstate New York’s Adirondack mountains for fresh air and the good influence of outdoor activities. Instead they and their guardian Knuckles Dolan (Dave O’Brien) are landed in worse jeopardy than in the city after their car breakdown gets them hospitality at the ancestral home of Forrest Taylor’s bent Judge Parker. He’s been indicted for bribery and intends to hide out from mobster reprisals that threaten him and his niece Inna Gest (an apt name for comedy). Lively’s plot lives up to his name only in the sense that he overloads the Judge with too much back-story. Not only has Parker fallen foul of the mob, he’s accused by one of his men of embezzling from his niece, and also of being a love-rat to his late wife by their loyal, hard-faced spinster housekeeper Agnes (Minerva Urecal) – in a character makeup and demeanour that was already becoming an over-familiar horror archetype. The new member of the re-christened group is Sunshine Sammy (Ernest) Morrison, who had begun his career as part of another famous screen bunch of youngsters, Hal Roach’s Our Gang, after short comedies with Harold Lloyd and then Snub Pollard. As the token young black man he is of course given the onerous task of being the go-to, wide-eyed scaredy-cat. 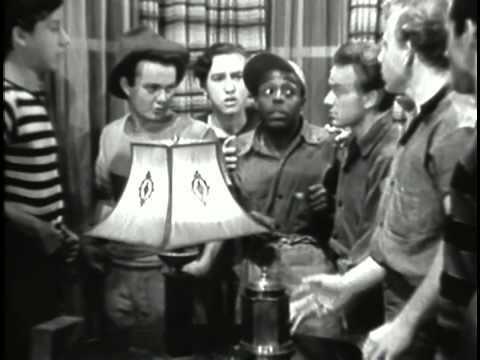 Like Manton Moreland in King of the Zombies, his role is the poison chalice of a decent share of screen time in return for a jaw-droppingly indecent quantity of racist dialogue. “Man, I sho’ do miss that ole plantation,” he witters plaintively at one point, later shoving his head joyfully into a watermelon after singing its praises. The tropes of old horror movies tumble out with the grim predictability of the cook victim who falls into the room face down upon a door being opened; there’s a white-sheeted fake ghost, secret panels and the unmasking of the real, utterly non-supernatural culprit in the Judge’s ranks. Over time as their screen personas developed, the gang softened from the edgy, serious young career criminals of Angels with Dirty Faces to a more family friendly semi-juvenile comedy team, a quality that was exploited the more they merged rambunctious humour with horror. The epilogue here where a thawed-out Agnes greets them with surprise chocolate cake plunges them right back into the short pants of innocent childhood, denuded of all that hard-earned street cred.